A NEW multi-million kina oil palm project will be officially launched this week in one of the remote parts of Namatanai in New Ireland province. 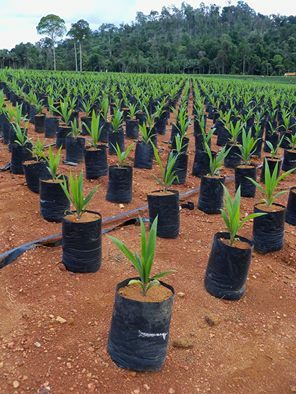 The oil palm project under the government’s Public Private Partnership (PPP) policy is one of the single largest investments undertaking in the country, situated in the Konoagil Local Level Government area of the Namatanai District. The oil palm project covers more than 35,000 hectares of land from a land mass of approximately 120,000 in the Lak-Kandas area of the Konoagil LLG. The 35,000 hectares is comprised of 20,000 hectares from Lak in the east and 15,000 hectares from Kandas in the west. In addition, two 30 tonne mills will be constructed during the construction and planting phase of the oil palm project as per the developer’s agriculture plan. The official launch will be on the 12th and 14th April, 2016 and would be witnessed by various stakeholders from both the private and public sector including investment partners, senior government ministers and approximately 42 Integrated Landowner Groups (ILGs) which this project would have a direct impact on. A locally based landowner company, Konoagil Agri Development Limited (KADL) and its foreign development partner, Million Plus Corporation Ltd will oversee the initial project operations. The oil palm project has met all required Agriculture, Environment and Forest permits. Also, it is currently in the process of obtaining its RSPO (Roundtable on Sustainable Palm Oil) certification. The project capital is approximately K430 million and would accommodate the construction of two oil palm mills, feeder roads, employee housing, landowner housing scheme, main roads, bridges, hospitals, schools and other much needed infrastructure. Konoagil Agri Development Limited landowner spokesperson and businessman Walter Schnaubelt said it is one of the impact projects that would benefit the local people, the provincial government, the Namatanai district and the country as a whole. “The oil palm project when fully established will create 4,000 jobs for the local people and generate more revenue through taxes for the provincial government and the national government as well,” Mr Schnaubelt said. He said for the first time, the landowners would have a 20 percent shareholding in the oil palm project for providing their land as direct equity participation. “The 20 percent shareholding is the first of its kind in the country and I thank the people of Konoagil – ‘las kona’ who have not seen basic government services for the last 40 years, this is your time. “Our main focus now is to have an international hospital and school, nurse training centre and banking facilities for the local people through this operation,” Mr Schnaubelt said.